Posted by TimTheFoolMan in anger, Communication, Discipline, Family, Football, Love, Parenting/Children, Self-Worth, Sports, Stupidity. It’s a simple word, and one that takes on a variety of meanings in today’s culture. For instance, we may “say grace” or say that someone “exhibits a certain grace” when they move. Posted by TimTheFoolMan in anger, Coaching, Discipline, Education, Exercise, Family, Football, Learning, Love, Management, Parenting/Children, Self-Worth, Sports, Success, Workplace. In the first half of this essay, I talked about ways to give effective negative feedback. This is difficult, because we’re conditioned to be negative in unhealthy and destructive ways, which encourages some to abandon negative communication altogether. 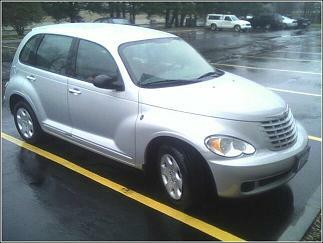 “A PT Cruiser” was the reply. Well, it’s not exactly what I would call a compact car, but it was definitely larger than any number of small cars I’ve driven. I wasn’t going to drive a ton of miles, but wanted those few miles to be comfortable. Fortunately, I was only slightly disappointed. Posted by TimTheFoolMan in Love, Workplace. Work has calmed down and now I suppose things in my life will return to normal. Now is as good a time as any to step back and look at the priorities in my life, and make sure that the hours I invest correspond to the things that I really believe are most important. Why don’t I feel good about it?